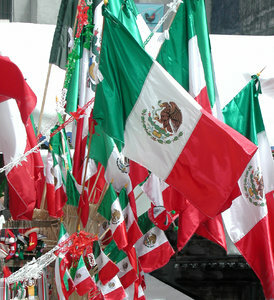 Cinco de Mayo is right this week and you better believe that residents and visitors to the City of Boston will be hitting the town to celebrate this wild holiday. You can bet there’s going to be a lot of tequila shots passed around. According to PubCrawls.com, Cinco de Mayo celebrators are urged to get up, move around and engage in a pub crawl for this year’s big event! And everyone knows that the Boston’s bar scene is perfect for that. Local businesses are already starting to prepare for one of the most anticipated events of the year — the Cinco de Mayo Boston Pub Crawl. Our Boston drunk driving accident attorneys are urging all those who are participating in this year’s celebration to consider the options. There are plenty of ways to go out, enjoy some drinks and avoid a potentially fatal car accident. There is public transportation, including buses, trains, subways, shuttles and taxis and there are other options like calling a friend or a family member, staying over at a friend’s house or even renting a hotel room. With all of these options available, make sure your Cindo de Mayo plans don’t include drinking and driving. It could wind up being a deadly decision. -Plan ahead and designate a sober driver before you head out for the event. -Make sure you eat before drinking. Go out and grab some of your favorite Mexican food. -If you’re plans change and you’re left without a designated driver, consider calling a friend, calling a family member or calling a cab to come get you. -Use mass transit. In Boston, that’s one of the most simple and safest ways to get around. Take advantage of it! -If someone you love has been drinking and is reaching for their keys, be sure to step in and take their keys away from them. Your intervention can help to save life. If you aren’t planning on drinking during Cinco de Mayo, remember that others are. If you think you spot a drunk driver on our roadways, be sure to report them to local authorities. Your call can help to save lives on our roadways during this fun-filled celebration. The Law Offices of Jeffrey S. Glassman, LLC is here to offer assistance to victims and the family of victims who have been injured or killed in a drunk driving-related car accident in Boston and elsewhere throughout the state of Massachusetts. If you or someone you love has been injured or killed in an alcohol-related auto accident, call 1-888-367-2900 to set up a free appointment to discuss your rights.